Located in the beautiful foothills of the Northern Cascades, Sunny Lane Canine Academy in Sedro Woolley is a fun and friendly place for dogs and humans alike. We offer an indoor training room, a large off leash area, and a doggie nature walk in a rustic and natural setting. Carmen Williams also offers training and doggie socials at Doggy Come Play in Burlington and training classes through Mt. Vernon Parks and Recreation Department. See our calendar for class dates and locations, special events, and workshops. All classes are positive, effective, and affordable. There are classes for dogs of all ages, from puppy to senior. In addition to classes, we offer private and family lessons, behavior modification, social events, agility, CGC testing, workshops, seminars and much more. If there is a class or event not currently offered at Sunny Lane, please Suggest An Event. Dogs need strong leadership and guidelines to reach their full potential. Training is more than Sit, Down, Stay. As your dog's human companion, you will need to understand a bit of doggie psychology, their drives, needs, and social structure. We will work with you to achieve your doggie goals. We'll show you the best ways to communicate with your dog to eliminate doggie behaviors that don't fit well in our human world. We will not talk at you but with you to make the training experience enjoyable for you and your dog. You will be delighted to see how quickly your dog responds to positive and gentle techniques. Intimidation and aversive methods are not used in any of our programs. Carmen works with a network of other professional trainers and specialists. If your dog has special issues or needs, not offered at Sunny Lane, you will be referred to someone who can help you. Sunny Lane Canine Academy.....Your Dog Wants to Come! With over 40 years experience, Carmen Williams knows dogs! Her techniques are promoted by leading canine behaviorists. 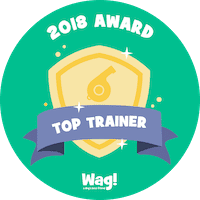 Carmen is a certified trainer (CPDT-KA), dog counselor (CC), an AKC Canine Good Citizen evaluator, and a dedicated teacher. We are dog lovers here! We know how important your dog is to you. We believe in kindness and respect for all living creatures.